Three-Time Paralympian. Gold Medalist. Former Client. Ambassador & Spokesperson. Paul “Rosey” Rosen found The NBA when he was at a low point of his life. Despite being an accomplished athlete and Canadian hero – being a three-time Paralympian and Gold Medalist in sledge hockey – ‘Rosey’ had difficulty transitioning away from the life of an athlete. He was low on finances and had no one to turn to – he was embarrassed by his situation. 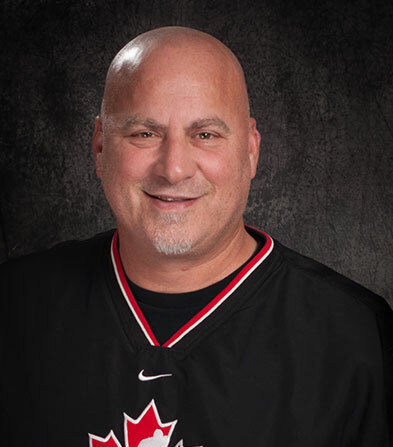 Flashing the grit and determination that made Paul the oldest rookie sledge hockey player in the sport’s history, he began researching and reaching out for disability resources that could help with his struggles. An old friend told him about The National Benefit Authority, a company that assists differently-abled Canadians like Rosey in filling out the Disability Tax Credit application and recovering Canadian disability benefits. With no upfront fee required, the NBA readily accepted Rosey’s case. Not only did Paul receive the Canadian Disability Tax Credit (DTC) he was entitled to, the NBA helped him receive more money he was owed retroactively, which he was completely unaware of. Rosey was back on his feet and Akiva Medjuck, CEO and founder of The NBA, was inspired by his perseverance and courage that led him to his office door: his desire to educate, motivate, and inspire Canadians with a long term disability to live life to its potential. From then on, Rosey found a purpose to his life after sports – he became the ambassador and spokesperson for The National Benefit Authority. Together, Rosey, Akiva Medjuck and The NBA regularly advocate for the inclusiveness of Canadians with a long term disability and their financial right to access the Canadian Disability Tax Credit. One of the hottest motivational keynote speakers in Canada today, Rosey’s given over 1,000 motivational speeches since his leg was amputated in 1999. His story of going from a young hockey prodigy, to shattering his leg, leading to the choice of losing his limb or dying in three months, has inspired & moved corporate groups, sports clubs, and school teams across the country. Find out if you qualify for the Canadian disability benefits – contact The National Benefit Authority or apply online! We’ll process your Disability Tax Credit quickly, easily, and at no cost unless we’re successful! Do you qualify for the Disability Tax Credit? We’ve filed thousands of Disability Tax Credit applications for Canadians successfully. We can do it for you too!